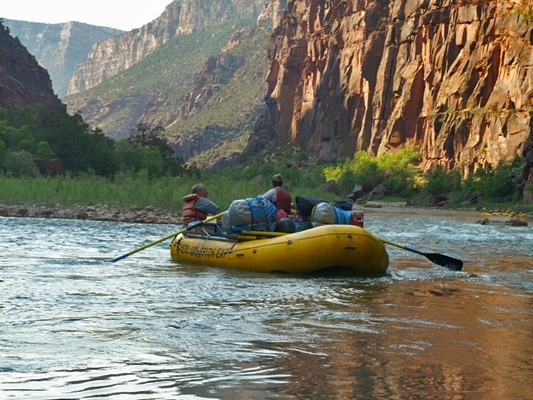 Yampa River Rafting through the Dinosaur National Monument has it all! 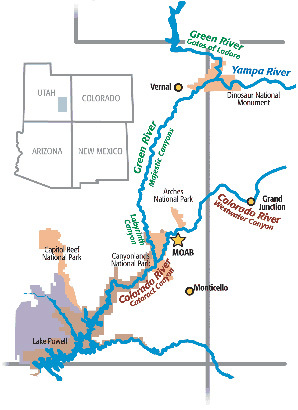 As the last free-flowing river in the entire Colorado River drainage, the Yampa River is incredibly wild in May and June. 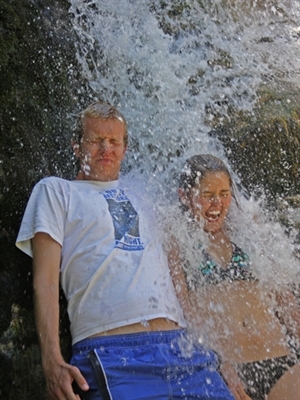 The Rocky Mountain spring run off creates big roaring rapids with an average descent of 12-14 feet per mile. The gradient at Teepee Rapid is an amazing 31 feet per mile! 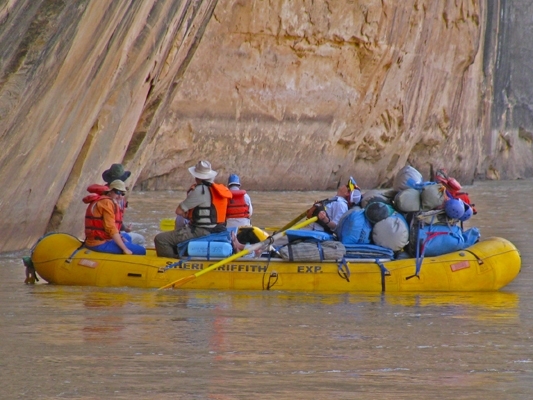 Raft alongside 2000-foot high white canyon walls with black tiger-stripes; hike side canyons to prehistoric rock art and abandoned caves. 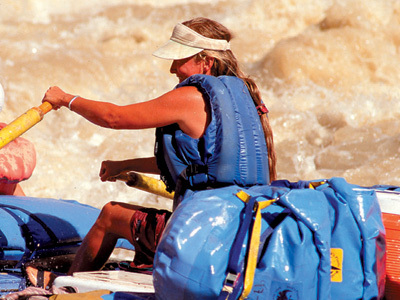 The whitewater is exciting and heart pounding while the slower river sections offer spectacular scenery to quiet the soul. Ancient Indian history and geological features fascinate your thirsty mind; and star-studded nights evoke thought and appreciation for our place on Earth. We meet at the Antlers Inn, in Vernal, Utah, at 7:00 AM, shuttle to the launch site, meet the crew, have a safety briefing, and then launch. 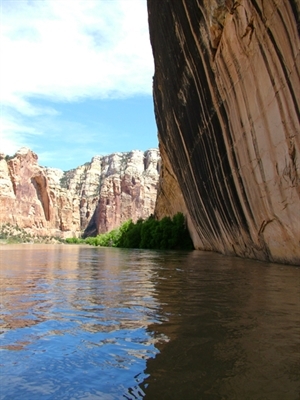 We float for a short while as we enter the Yampa River canyon which rises 1000 feet above. After entering the canyon we have exciting whitewater all day. We will stop and take a short walk to Anderson Hole and Stubbs Cabin. The scenery is spectacular and offers great views around very corner. Midday, the guides will prepare a fresh buffet lunch along the riverbank. After Lunch we run the big rapids Tee Pee, and Big Joe rapids right before camp. Lunch will again be on a nice river side beach. Option could include Chicken Cesar Salad, or Sandwiches with fresh vegetables. After Lunch we then come to the biggest rapid on the Yampa, Warm Springs! We will stop and scout the rapid before taking on the challenging cataract. We will pull over and camp in the late afternoon. While you find a spot to pitch your tents, the guides prepare dinner. Fall asleep under the starlit sky. 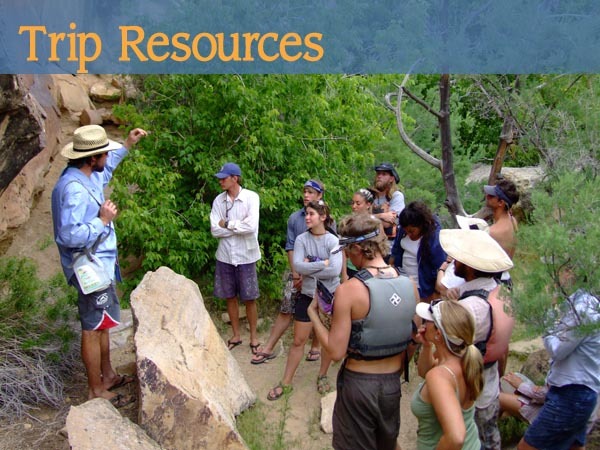 Potential Hiking Opportunities: Mantle Cave, Signature Cave, Warm Springs. This morning we will run more fun rapids. 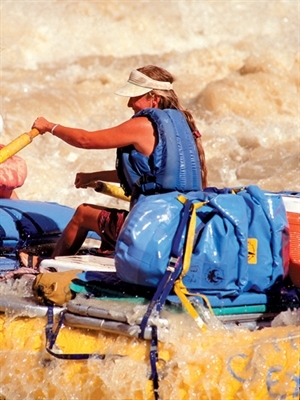 Start this morning's river travel with the fun, splashy Greasy Pliers rapids. The canyon then opens up into the Island Park area. Enjoy viewing amazing petroglyphs of a very large bison. Raft through Rainbow Park and enjoy swimming in the river before the river slices through Split Mountain. 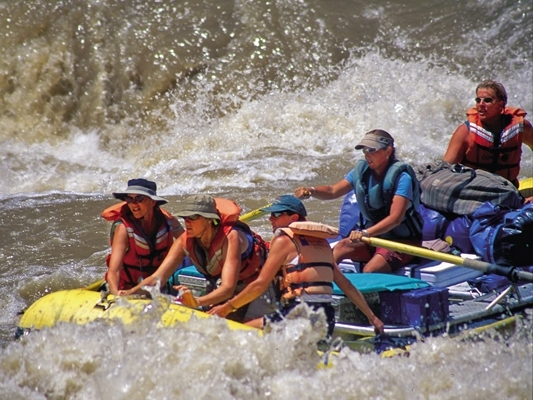 Yampa River Rafting has very exciting whitewater in May. Great way to relax on a hot Utah afternoon. 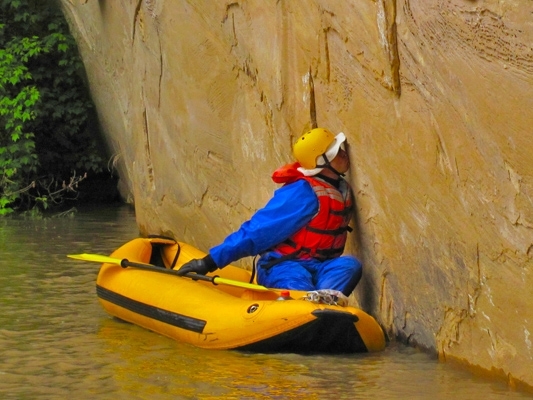 There is peace and solitude mixed with action on Yampa River Trips. Lots of fun whitewater every day on the Yampa River.